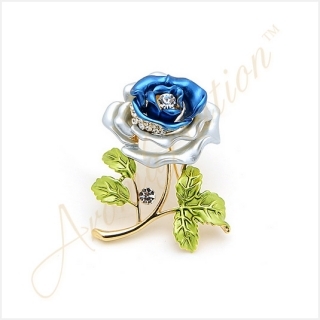 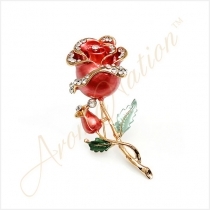 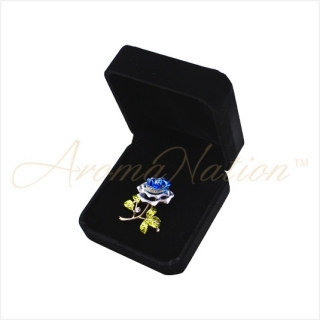 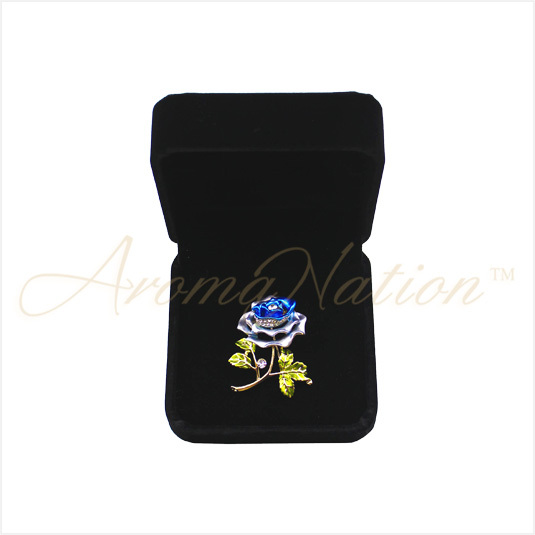 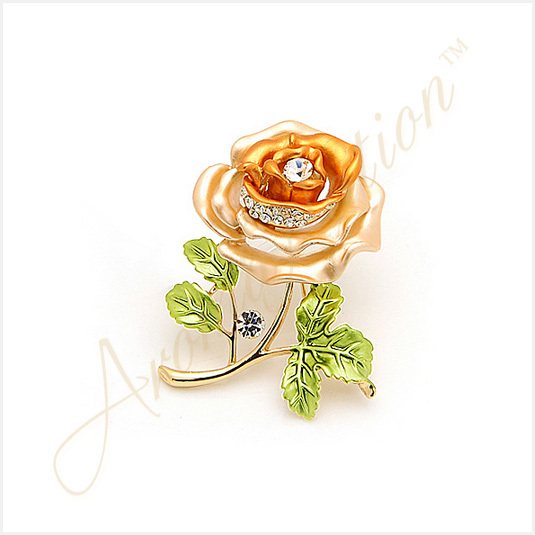 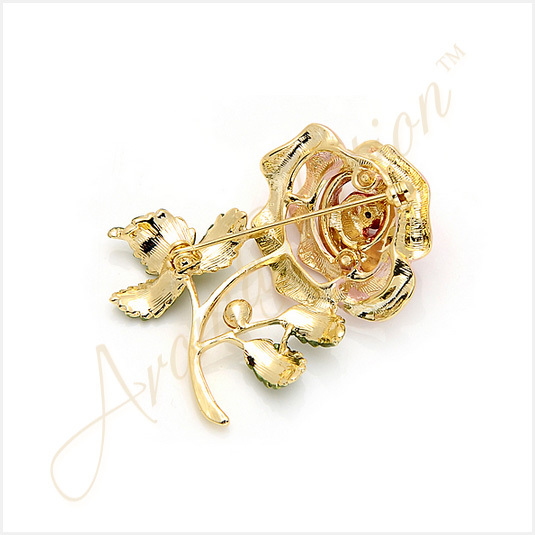 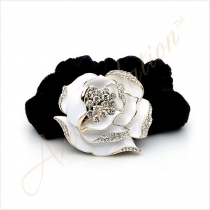 This adorable rose brooch is decorated with authentic rhinestone crystals. 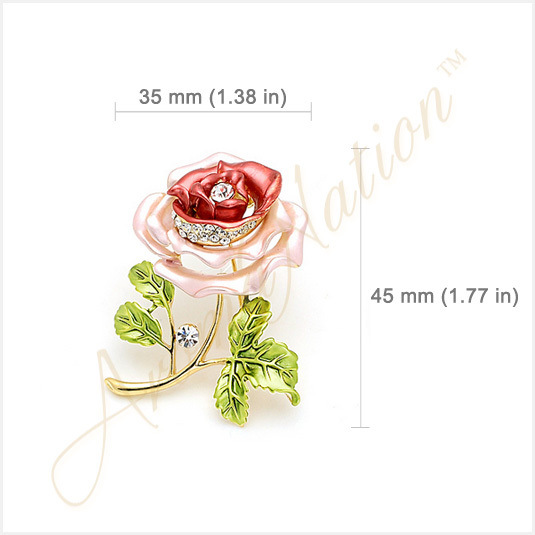 The brooch measures 45 mm (1.77 in) long by 35 mm (1.38 in) wide and weighs 23 grams. The brooch has a pin with heart-shaped snap clasp on the back. 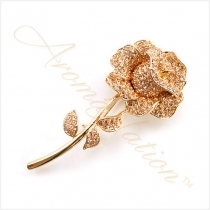 This cute brooch will add a sparkling flair to your jacket lapel or scarf. Available in 4 colors: Red, Blue, Champagne and Purple. The product comes in a velvet jewelry box. 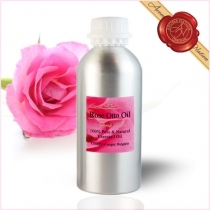 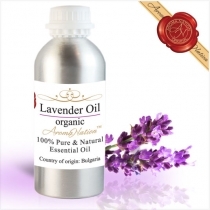 Disclaimer: All product(s) data is provided as per the information available from the supplier.